Psoriasis Treatment | Psoriasis Medication for skin and scalp problems. See Dermylex Trial Results ► Alternative Medicine Review Volume 13, Number 2 2008. Results may vary. 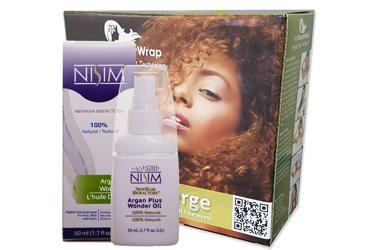 Hair Therapy Wrap - Cordless with Argan Plus Wonder Oil - 100% Natural - Great for keeping your hair looking amazing. 100% Natural. 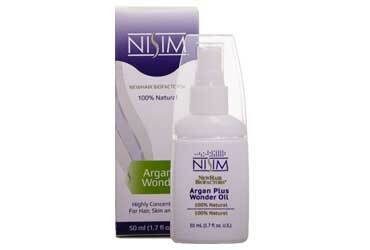 Highly concentrated for use on hair, skin and nails. 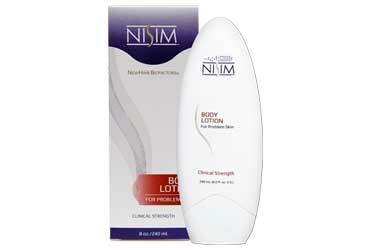 Clinical Strength Body Lotion formulated with Niacinamide and Nisim's exclusive Amino Acid Complex to reduce roughness, excessive dryness and scaly skin. A new, natural product is now available, and its clinical studies are convincing enough to allow Health Canada to issue a NPN (Natural Product Number) for this product. Dermylex Trial Results. This is the first time that Health Canada has issued a NPN for any internal preparation having the claim; “Helps improve the symptoms of psoriasis”. The name of this product is Dermylex™. * Although many seek a Psoriasis treatment based on a conventional chemical based Psoriasis medication or pseudo Psoriasis medicine - this product is based on a patented, natural, Undenatured Whey Protein Fraction – packaged 60 tablets per bottle. Clinical studies showed that individuals with mild to moderate psoriasis showed a marked improvement in the severity of their psoriasis symptoms - after taking 2 tablets each day for 30 days. Alternative Medicine Review Volume 13, Number 2 2008 Dermylex Trial Results. For many, the results were even better after 60 days. Dermylex™ tablets may not cure plaque psoriasis. However, a commitment to try this easy to use, natural product for 3 months will be highly rewarding. Even better results can be obtained when these tablets are used in conjunction with Nisim® Clinical Strength Body Wash and Nisim® Clinical Strength Body Lotion. Unlike most other topical psoriasis relief preparations, neither Nisim® Clinical Strength Body Wash nor Nisim® Clinical Strength Body Lotion contains Salicylic Acid (potential skin irritant) or Coal Tar (persistent, obnoxious odor). Instead these formulas are based on mild cleansing and moisturizing compounds – working in harmony with Nisim’s exclusive Amino Acid/Vitamin Complex. High levels of Niacinamide (Pro-Vitamin B3) and Aloe Vera Gel supplement the performance of these gentle, easy-to-use products. If you are not happy with our product for ANY reason return it for 100% of your money back plus the original shipping charges just for trying it. * See Dermylex Trial Results ► Alternative Medicine Review Volume 13, Number 2 2008. Results may vary. Should I use both the body wash and body lotion to help alleviate dry, red, itchy, dry, or “problem” skin? Both the Body wash and body lotion have measurable benefits to women and men who have “problem skin” conditions. Which skin care ingredients should I avoid if I have sensitive skin? There are several ingredients that you should keep an eye out for if you have sensitive skin. You should watch for Salicylic Acid (potential skin irritant) or Coal Tar (persistent, obnoxious odor). Both the body wash and lotion are natural topical solutions for cleanliness and skin care and do not contain those ingredients. Does the Body wash or Lotion have a certain smell or contain any perfumes? No perfumes are added to the Body Wash and Body Lotion. You will only smell what is included in the natural ingredients. Are these products all natural skin care, as in they are all natural ingredient products? Yes. The Dermylex, Body Wash and Body Lotion are an all natural solution to help keep natural, healthy looking skin restoring essential oils and moisture without the harshness of chemicals from typical “problem skin” care products . Am I able to use this body wash on my face? The body wash is safe to use on the face but is not specifically a facial cleanser. I have very sensitive skin, will these products cause irritation to my skin? No. The body wash and body lotion will not irritate sensitive skin as they are specially formulated to help alleviate “problem skin” and works well with sensitive skin. Will Dermylex really help my Psoriasis? Dermylex is formulated to help with mild to moderate forms of psoriasis. It helps reduce plaque, scales, itching and inflammation associated inflammatory skin disorders. Do any of these products help with dry scalp? Please use NewHair Biofactors Shampoo if you are looking for a dry scalp solution.